I think I've found my new favorite band! I'm absolutely in love with these girls! 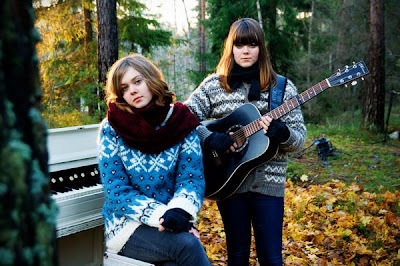 First Aid Kit is a Swedish sister-duo who create vocal-heavy folk music that will stir your soul. Their insanely strong voices and haunting harmonies are just breath-taking. These sisters, Klara and Johanna, are just 17 and 20, but already they are rocking concerts all over Europe, US and Canada. Actually, they just played in Toronto on the 15th! I missed them! ...2:18 is my favorite part. So awesome.